"I have to go blog about the Civil War for a grade." "…Wait, seriously?" Frank Wilkeson has provided a first-hand account of a rank-and-file Union soldier in his memoir Turned Inside Out: Recollections of a Private Soldier in the Army of the Potomac. In his preface, he immediately states that the purpose of his memoir is to show what the war was really like and that he was not “inspired by vanity or jealousy” or to “repair damaged or wholly ruined military reputations” (xiii) like the well-known histories of the war. He acts as the spokesman for the men who he believes truly fought and won the battles: the private soldiers. He specified two main grudges he held against the war the Union conducted the war: the use of volunteers instead of inscription, and the very existence of West Point officers in the field. He emphasized fully on his hatred of West Point and its officers. His vendetta against West Point is chilling and blunt. He denied the soldiering abilities of the West Point officers and went so far as blaming the failures of the Union during the war on these men who, in his eyes, “were commanders, but they were not soldiers”, for soldiers “are not the products of schools” (xvii). The chapter in which he described the Battle of the Wilderness provided a particularly interesting insight to the war. 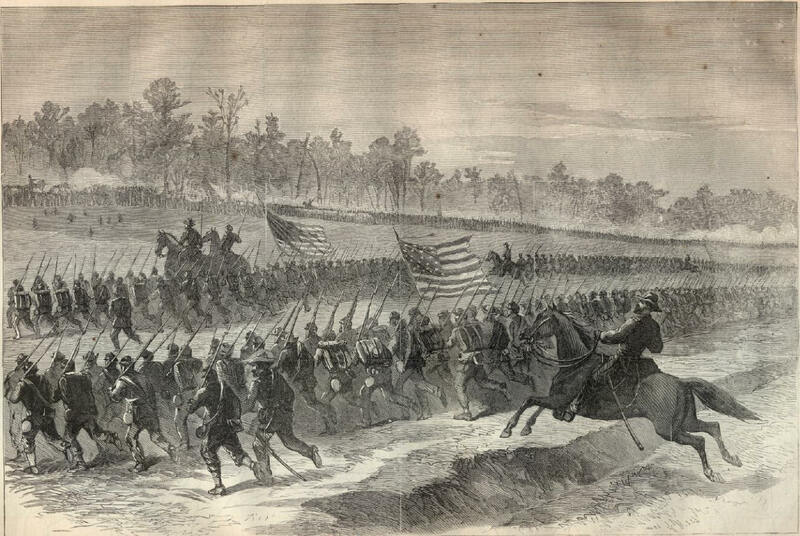 Wilkeson knowingly left his battery due to lack of action and went towards the battle. 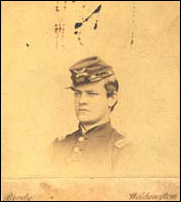 He graphically described the moment when he “saw the elephant” – a phrase for the awesome and gruesome experience of the soldiers’ first exposure to war as presented by historian James McPherson in the book’s introduction – and realized that he was in danger when he heard bullets hitting the trees next to him and saw the of a dead officer who had a bullet hole in his forehead out from which his “brain oozed” (62). This first-hand account is indispensible to accounting the story of the Civil War and adds a personal note to the total casualty count that is simply recited as if those numbers were only numbers, and not the lives of men. Later in the same chapter, Wilkeson described the Confederate men he saw slain on the ground. He seemed to pity their lack of resources and their poverty, but stated, “they fought…like men of purely American blood” (70). This sentiment, along with the chilling account of facing battle, adds a personal note to a part of history that is so deeply studied. Wilkeson felt a bond with his fellow common soldier, albeit that other soldier was his enemy. This kind of identification with a Confederate solider from a Union one should be scrutinized, seeing as it was accounted after the war and Wilkeson’s opinions may have changed. Wilkeson’s memoir shows a gritty personal experience in comparison to the laudable accounts of military generals. He provided his own brute honesty and supposed true emotions and accounts of events he experienced. His memoir is a bottom-up view of the war instead of a top-down down one, and despite personal bias, limitations due to memory loss, change of opinion, or simple mistake, his accounts of his time as a private solider in Grant’s Army recounted what seemed to be the experience of many of Grant’s men in his 1864 Overland Campaign. Animals, Cannon Fodder, or Men?